The 5th International Workshop on Compressed Sensing applied to Radar, Multimodal Sensing and Imaging will be held at the University of Siegen, Germany, from September 10th to September 13th, 2018. The workshop will welcome world-class scientists, engineers and educators engaged in the fields of Compressive Sensing (CS) with a wide scope of applications to Radar, optical and nonoptical 2D/3D imaging, material analysis, surface and subsurface inspection by ultrasonic, microwave, TeraHertz as well as X-ray techniques. A call for papers is open until April 30th: Call for Papers CoSeRa 2018. For more information regarding the event and to register: CoSeRa 2018. 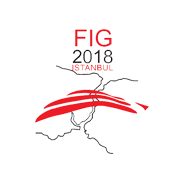 The 26th FIG Congress will take place at the Istanbul Congress Center, from May 6th to May 11th. Under the theme “Embracing our smart world where the continents connect: enhancing the geospatial maturity of societies”, the FIG Congress 2018 is an exciting week-long conference that brings the international community of surveying and spatial professionals together. Early bird registration rates are available until February 20th: FIG Congress 2018 Registration. For more information regarding the event: FIG Congress 2018. With more than 80 GIS specialists in Canada, Fujitsu has one of the largest practices in North America. Our team is continuing to grow to meet ongoing demand with nearly 15 full-time positions currently available. Interested to apply? Please contact James Léveillé. Calling all students and post-docs at universities, colleges, research hospitals and research institutes across the country — starting October 2, the Canada Foundation for Innovation (CFI) wants to hear how working in state-of-the-art facilities and with cutting-edge equipment has helped you and your research. Show us how CFI-funded infrastructure has opened opportunities for you, by tweeting to us an image or video of how you work with CFI-funded equipment or in a CFI-funded research space. Have fun, get creative with your Twitter submission, and help us tell all Canadians just how important it is to equip this country’s bright minds with the tools they need to think big and innovate. 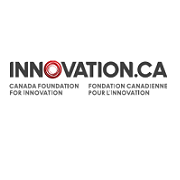 Contestants can submit entries to the contest Sponsor, the Canada Foundation for Innovation (CFI), via their personal Twitter accounts as of October 2, 2017, at 12:00 a.m. (eastern), until the contest closes on December 1, 2017, at 11:59 p.m. (eastern). For more information : #IAmInnovation Contest. Esri Canada Limited has an immediate need for a full-time Higher Education Developer and Analyst, focused on providing support in teaching and research project collaboration in higher education. 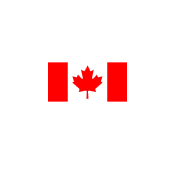 The position is based out of the Corporate Head Office in Toronto. The Higher Education Developer and Analyst’s tasks include providing support in GIS research and application development for Esri Canada’s higher education client base; conducting training sessions for higher education clients; and creating resources and collateral for use in higher education teaching. For more information and to apply: Job opportunity at ESRI Canada. The Office of the Chief Electoral Officer – Office of the Chief Information Officer Gatineau (Québec) is seeking candidates for a Programmer Analyst, GIS Application Development employment opportunity. Deadline to apply: September 6th, 2017. For more details: Programmer Analyst in GIS employment opportunity. EnvisionGEOMATICS detailed program is now online! 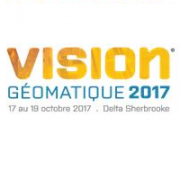 EnvisionGEOMATICS will be held October 17-19 in Sherbrooke. This fifth edition of the event is organized by the Centre de géomatique du Québec (CGQ), in collaboration with the Association de géomatique municipale du Québec (AGMQ), the Université de Sherbrooke, and Natural Resources Canada. The detailed program is now available [in French]. For more information and to register: EnvisionGEOMATICS. The Journal of Spatial Information Science (JOSIS) will host a special feature in order to extend the discussion beyond the AGILE 2017 Pre-Conference Workshop “Bridging space, time, and semantics in GIScience” (held on May 9th, 2017) with an open call for submissions from anyone interested in this topic. 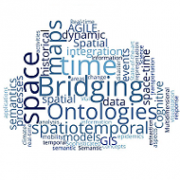 Integration of space, time, and semantics in relevant areas such as transportation, mobility, epidemics, climate change, disaster response, historical GIS, etc. The deadline for submitting a paper is Febriary 1st, 2018. For more information and for submitting a paper: Special feature of the Journal of Spatial Information Science. 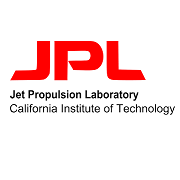 The California Institute of Technology (Caltech), Postdoctoral Scholars Program at the Jet Propulsion Laboratory (JPL) invites applications for a postdoctoral research position in JPL’s Suborbital Radar Science and Engineering Group. 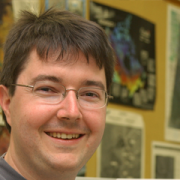 Dr. Marc Simard will serve as JPL postdoctoral advisor to the selected candidate. JPL is seeking an expert in signal processing, and in particular image processing to support mapping of Earth topographic features, forests structure and also dynamic coastal regions. For more information and to apply: JPL postdoc opportunity. A special activity is organized to celebrate the career of Professor Rock Santerre on August 31st, at Université Laval. 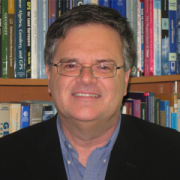 From 3:30 pm, 3 conférences will be presented, including one by Dr. Santerre on the various GPS-GNSS projects he conducted during his career. The conferences will be followed by a festive evening, which will start at 5 pm. All the details about this activity on the Center for Research in Geomatics website [in French]. On July 28th, contribute to a GeoComputation 2017 keynote! You have ideas regarding the future of GeoComputation, spatial analysis, and modelling? On July 28th, share them at http://www.geocomputation.org/2017/conference/future-keynote/index.html, follow @GeoCompNews and tweet using #geocompkeynote, or send an email to contact-us@geocomputation.org. The ideas received will be shared during a keynote speech at GeoComputation 2017, which will be held from September 4th to 7th, in UK. For more information: GeoComputation 2017. 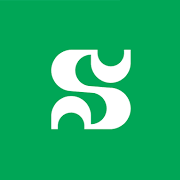 The Université de Sherbrooke is seeking candidates for a position of professor in image processing. The expertise of the candidate must relate to digital image processing, and also to geomatics sciences and technologies (remote-sensing, geographic information systems, etc.). For more information and to apply: Job offer – Professor in image processing [in French]. Deadline to apply: August 22nd, 2017. 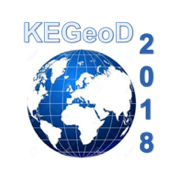 In the context of the ACM SIGAPP Symposium On Applied Computing (SAC 2018), which will be held April 9th-13th 2018, in France, a call for paper has been launched for the track Knowledge Extraction from Geographical Data. Deadline for submitting a paper: September 15th, 2017. You are invited to the Internet of Things: a technology for innovation conference that will be held on June 16th, 11 am to 12:30 pm, in room 3370 of the Adrien-Pouliot Building, Université Laval. The conference will be presented in English. Speaker: Anura Jayasumana, Associate Director of the Information Science & Technology Center, Colorado State University. 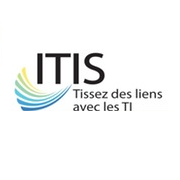 This conference is presented by the Institut Technologies de l’information et Sociétés (ITIS) of Université Laval and by the Québec Section of the Institute of Electrical and Electronics Engineers (IEEE). Free. For more information: ITIS-IEEE IoT Conference. Rodolphe Devillers, member of the Convergence Network, recently obtained a Discovery Accelerator Supplement from the Natural Sciences and Engineering Research Council of Canada (NSERC) for his research program entitled: New geospatial methods for exploring tradeoffs in marine conservation planning. For more information: Rodolphe Devillers.